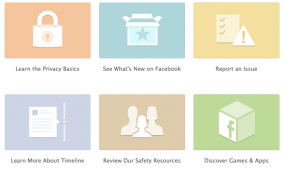 The users of facebook will be pleased to know that the help center of facebbok has been redesigned. The officials of the social media network are quite hopeful that the redesigning of facebook help center will provide more efficient help to the users regarding their queries and about most of the applications of the facebook. There are certain new updates in the redesigned help center and it will definitely save the time of the users in order to find out their queries. The users will also be pleased to know the option of FAQs is still there for those persons who want to search their specific answers. The new help center is able to scan out more than 5,000 frequently asked questions and answer them properly. After this update the procedure of getting help from the help center will be easier, the officials of the social media network said. Erin Egan, Chief Privacy Officer of the facebook, has announced in a statement that we are pleased to announce a new, more streamlined design help center. Originally the help center was launched in 2007 and since then it has solved out different problems of the users. He also claimed that new redesigned homepage has made easier for the users as compared to the old one. The officials of the facebooks has claimed that they have personalized the above mentioned topics on the basis of the fact that how a person interacts with the site. They have quoted an example in order to explain this, for instance it the users are not looged in they still have the option to see how to create an account on facebook or tips about resetting the password. In addition to the help center changes, facebook also rolled out support dashboard to all of its existing as well as new users. The facebook was founded in 2004 by Marck Zuckerberg, a Harvard University student. Since then this social media website has gained the attention of millions of users all around the world and the company is focusing on providing more advanced features for its users.